Entangled Hearts is Officially Re-Released! After allowing fear to halt me, I have finally re released my first collection of poetry, Entangled Hearts. 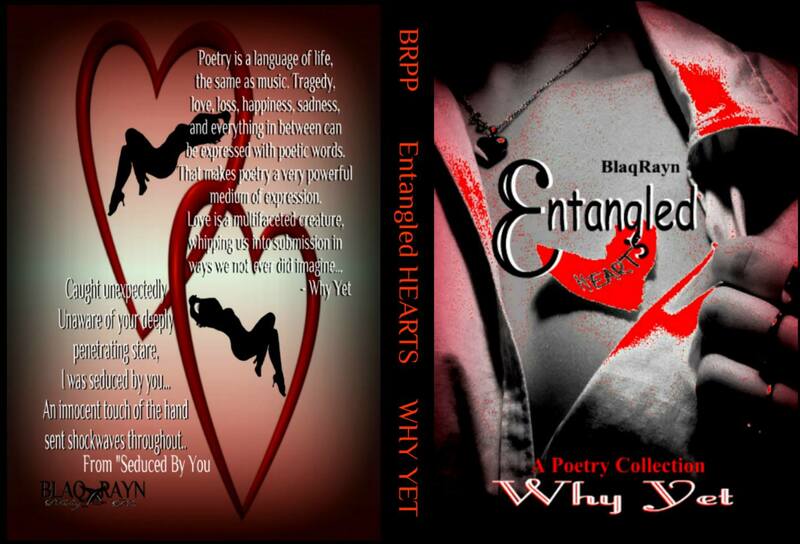 With a revamped cover by BlaqRayn Publishing and some new poems, Entangled Hearts is ready to spread some love again. Almost as if to celebrate, I had a flood of poetic inspiration tonight, including a piece I titled The Woman In Me: Love flows as strong as a river current/ unrestricted by space, time, or circumstance/ once my heart opens the woman in me/ flourishes,/ glows,/ grows,/ and knows that pure beauty is a rarity in the world./ Peace flows as smooth as silken strands/ guided by love like a traveler wandering/ in a golden desert,/ guiding,/ providing direction,/ and connection to the source of the peaceful flow./ Beauty is transcendent/ across space and time/ irregardless of age/ like a wine ripening for the perfect celebration/ of life. / The transcendent, silken, river current of love heals and nurtures/ because of the woman in me. Available on amazon.com (kindle).